BERWICK IS BEING SOLD AT A VERY SPECIAL PRICE!! 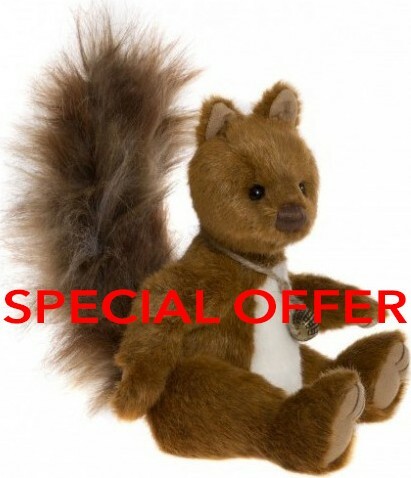 Charlie Bears Berwick is a very cute little red squirrel, made with a soft red/brown plush fur, with a white tummy. He has black eyes, tiny ears and a hand-stitched nose and claws. He wouldn't be complete without delicate whiskers and big, bushy tail, that is wired, so can be moved to create different looks for him. He wears a string necklace, with a pendant. Berwick is from the Charlie Bears 2017 Collection.